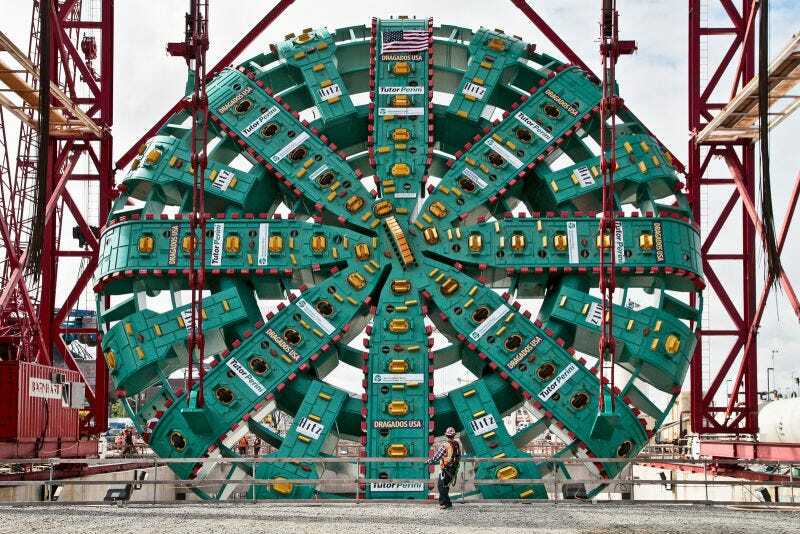 Tunnel Boring Machines, or TBMs, are some of the most fascinating manufacturers of our infrastructure: Two-ton primary-colored cylinders with jagged teeth that chomp through the Earth. And every single one of them has a traditionally female name. From Big Bertha in Seattle to Mom Chung in San Francisco, to Lady Bird in DC, TBMs are all women. Dioscorus was enraged by her action and by her conversion. So he himself denounced her before the civil tribunal. She was horribly tortured, and at last was beheaded. Her own father, merciless to the last, acted as her executioner. God, however, speedily punished her persecutors. While her soul was being borne by angels to Paradise, a flash of lightning struck Dioscorus, and he was hurried before the judgment seat of God. So wait, how does that connect to mining exactly? Back in the 1500s, miners used gun powder to bust open their mines, so Saint Barbara’s masterful summoning of a very specific and very powerful lightning strike was a lot like those mining explosions, therefore making her the patron saint of mining and geology (and also artillery). And now the TBMs traveling below your city right now have replaced those explosions—making them into a bunch of modern-day Saint Barbaras. If you want to help Los Angeles name their new TBM that’s building a subway extension, there’s a contest underway. My favorite so far is Harriet, because it is indeed an underground railroad.